We are pleased to announce the opening of our luxurious new wedding venue in Northants. 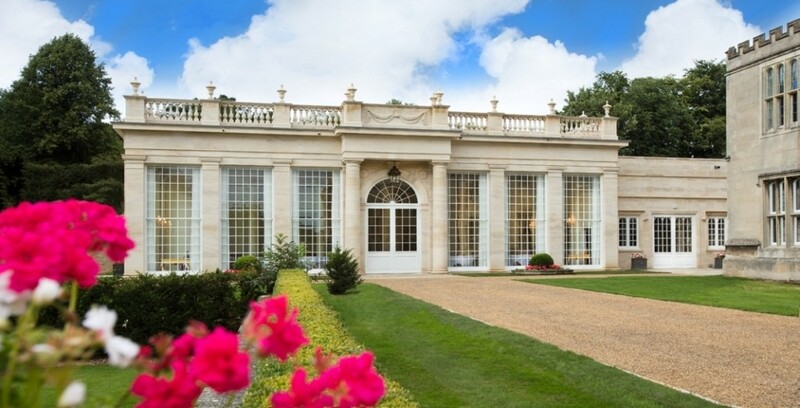 The Orangery has been built in a location of great beauty and prestige, alongside the magnificent Grade I Listed Rushton Hall, providing the perfect backdrop for weddings, conferences, drinks receptions, car and product launches. With its magnificent architecture and features, our Northamptonshire wedding venue is truly breath taking and provides the perfect setting for your ceremony. The architects have built the impressive stone exterior from Clipsham and Ancaster Ashlar stone, all in keeping with Rushton Hall’s original structure. The exquisite interiors boast intricate ceilings which took two craftsmen three months to complete, impressive stone floors, beautiful crystal chandeliers and all the latest technology. With its bright airy ambience, it is the perfect space to say those precious vows or celebrate your special occasion, surrounded by your family and friends. The Orangery also holds an Entrance Hall with a grand marble fireplace and extensive bar, an elegant Ballroom with high windows providing an abundance of natural light, a sizeable State Room with doors extending to the Ballroom and finally a Picture Gallery Room, complete with a minstrel balcony. The Orangery provides the perfect setting for a wedding ceremony of 80 or more guests and drinks receptions of up to 500 people. To say ‘I do’ or to host your next event in one of the finest wedding venues Northamptonshire can provide please do not hesitate to contact our Wedding and Events Team on 01536 713001 today.